Should Your Online Store Participate in Free Shipping Day? Customers love free shipping. There's no doubt about it. And free shipping right in the middle of the holiday season? Awesome! But what exactly makes free shipping so attractive? It's a little more complex than you might think. But on Free Shipping Day, there are no conditions — just free shipping with guaranteed delivery in a minimum timeframe. Is your business participating on Free Shipping Day? 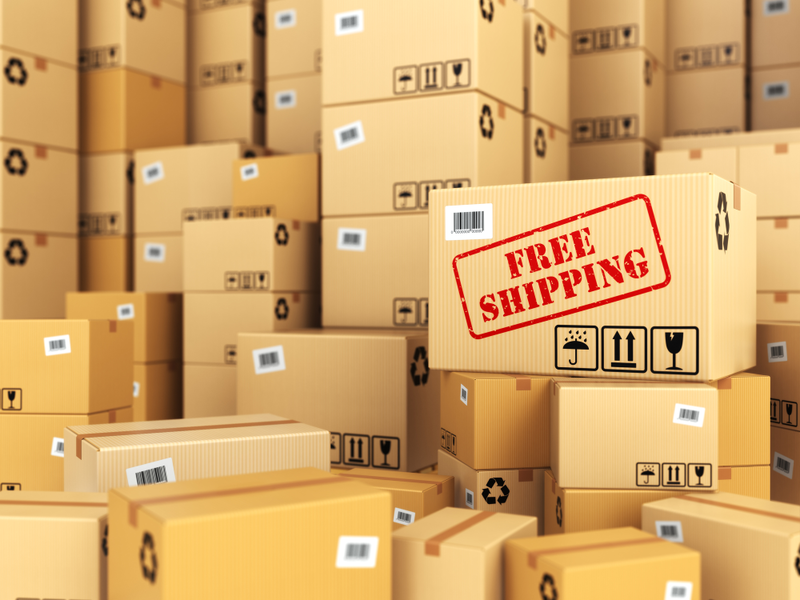 If you're not sure, this article will help you learn what is Free Shipping Day and how it can give an extra boost to your holiday sales. item to bring their total up and get shipping for free, even if as a result, their order ends up at a higher total than it would have with the shipping costs. In the customers' minds, they're at least paying for something they actually want, not being forced to pay an extra charge just to get their items, and according to a comScore study, 83% of them are happy to wait an extra two days to get their items as long as shipping is free. Proof of this mental bias lies in the numbers: over half of online shoppers in the United States have added more to their shopping carts to reach the minimum for free shipping, and when asked to name their most successful marketing tool, 60% of eCommerce businesses answered "free shipping with conditions." Free Shipping Day is an annual holiday shopping event, during which participating online merchants offer free shipping with no minimum purchase and a guaranteed delivery date before Christmas Eve. Since its beginnings about a decade ago, Free Shipping Day has become an extremely popular holiday shopping day, with sales hitting the $1 billion mark in 2011. It's clear that great demand exists among last-minute shoppers who need to save every penny, and Free Shipping Day is perfect for them. As long as you can make the by-Christmas-Eve deadline, you should definitely put Free Shipping Day on your list. You'll be catering to the huge demographic of last-minute shoppers and bargain-hunters, and you'll see revenue you wouldn't have otherwise. Plus, you'll be in good company: large retailers all over the world celebrate Free Shipping Day, sometimes with additional online discounts to make shopping even more appealing. It's fair to say that if you don't participate, you'll be seriously missing out. To participate, all you have to do is offer free shipping and guaranteed delivery starting at 12:01 AM on Free Shipping Day (in 2017, it falls on December 15th) and running for 24 hours. Optionally, you can take a page from the book of the larger retailers and run a special sale concurrently, further cutting prices for your excited customers. Before you get too close to the date, make sure your online store's eCommerce platform gives you an easy way to make changes and revert them just as quickly when the time limit is up. Most shopping cart softwares allow you to accomplish this hassle-free. Free Shipping Day isn’t the only important holiday shopping date to be aware of — not by far. If you want to see your online store truly excel during the busiest part of the year, you need to start getting ready right now! And if you need help improving the shipping methods in your online store, check our Beginner's Guide to eCommerce Shipping.